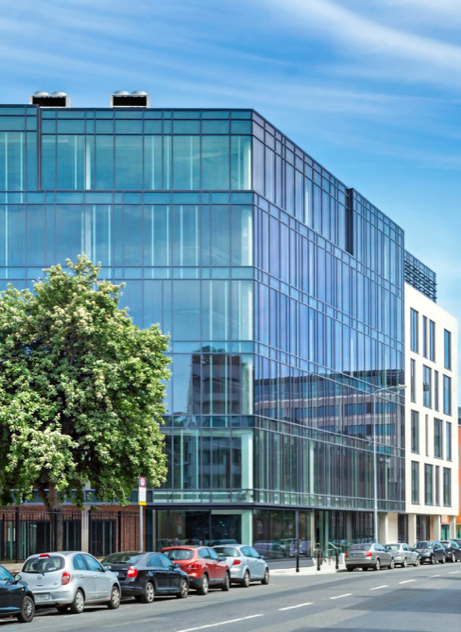 Semple & McKillop have recently handed over the new exceptional office development ‘The Sharp Building’, located in Hogan Place, the historic heart of Dublin. This LEED Gold Certified building hosts 4157m2 of modern Grade A office space set over 7 floors. The Sharp Building has also achieved Wired Certification to Platinum level for its internet infrastructure. Semple & McKillop are delighted to have been part of the team responsible for the M&E services design for this new development. This development further adds to our growing portfolio of office developments which includes offices completed for Willis Insurance, Pinsent Masons, KPMG, Aer Lingus and A&L Goodbody.